The Atlanta Braves turned things around last season, snapping a three-year streak of 90 loss seasons by winning 90 games and securing the NL East division title, the club's first since 2013. The Braves enter this season as a favorite to again contend for the divisional title, but this go around figures to be a bit more difficult with the already tough Nationals and the vastly improved Phillies and Mets all eyeing runs at the postseason. "Teams are going to continue to get better. That's the nature of the beast that we're in. And we're going to have to continue that, too," said Braves manager and reigning NL Manager of the Year Brian Snitker at the Winter Meetings in December. "The work is just beginning for us. I don't feel we're a finished product at the Major League level. Our players are not finished products yet. We talked about (winning the division) last year, but it was just kind of talk. Now it's kind of like we've experienced it and we know where we want to get and what we want to do." The Phillies will miss Mike Foltynewicz in the opening series as he's dealing with an elbow issue, but the Braves have a stable of impressive young hurlers that appear ready to step up. The Phillies will see two of those arms this weekend as right-hander Bryse Wilson will start Saturday while right-hander Kyle Wright goes Sunday night. Unlike the Phillies who spent nearly $500 million this offseason, the Braves didn't do much to add to their roster aside from inking veteran Josh Donaldson to a one-year deal worth $23 million. Though he's put up MVP-type numbers in the past, he's coming off a 2018 season that was riddled with injury where he played in just 52 games. If he can stay healthy though, he's a potent bat that will slide in nicely with Freddie Freeman and Ronald Acuna Jr. to form a formidable trio at the top of the lineup. The Phillies finished 7-12 against the Braves last season, but with a radically different lineup and some added star power, things could be different this year. 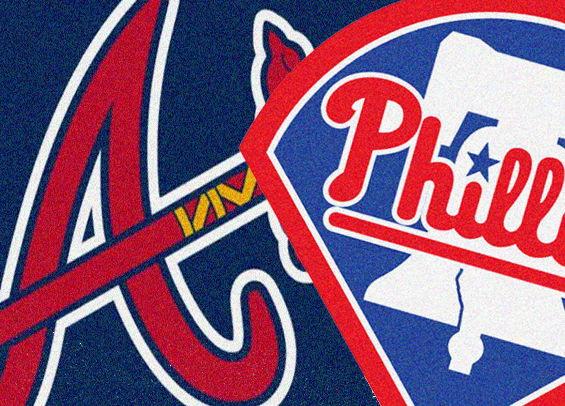 In fact, the Phillies finished last season eight games below .500 against divisional opponents. If the club expects to contend for an NL East title - and it does - that record will have to be significantly better this season. Nola was outstanding last year in a breakout campaign where he finished third in National League Cy Young Award voting. Today marks his second career Opening Day start. Teheran will be making his sixth consecutive Opening Day start for the Braves, a mark last reached by Hall of Famer Warren Spahn. He finished 9-9 last season for Atlantia in 31 starts, posting a 3.94 ERA.